The Bend City Council created, empowered, and funded Visit Bend to develop and build Bend’s tourism industry. Visit Bend is an economic development organization whose primary function is to create an effective mix of marketing, sales, and service programs designed to produce a positive economic impact of visitor and convention spending in Bend. Developing and implementing these programs results in enhancing the City’s livability by providing year-round employment. Visit Bend sells the entire City and works in good partnership with all sectors of the Bend and Central Oregon visitor and convention industry. Visit Bend practices the highest principles of civic citizenship. It follows good business practices and policies set forth by the bylaws. 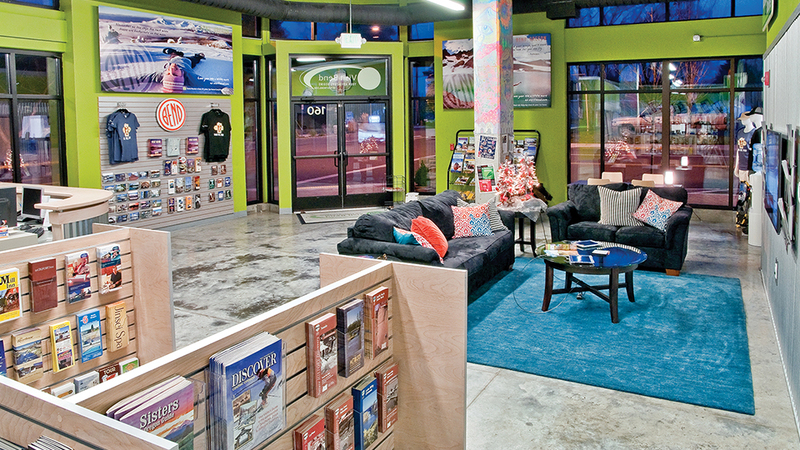 When you’re in town, be sure to stop by the Bend Visitor Center at our location in ​downtown Bend. Our friendly staff will greet you with a smile and offer suggestions on what to do and see during your visit. While at the Visitor Center you can pick up maps to help you find your way on the streets and trails, shop for Bend and Bend Ale Trail souvenirs in the gift shop, or hang out with a cup of coffee while you check your e-mail at our iPad stations (free Wi-Fi hot spot). To enhance the economic vitality of our community by promoting Bend as a year-round visitor and convention destination by maximizing collaborative partnerships, efficiently activating transient room tax revenue into effective sales and marketing programs, and cultivating a world-class visitor experience. Visit Bend’s vision is to be the most effective Destination Marketing Organization (DMO) in the state of Oregon, to provide the best delivery of tourism service and information to Bend visitors, to be the tourism marketing resource of choice for businesses in Bend, and to be the industry leader in financial management and stewardship of public funds.